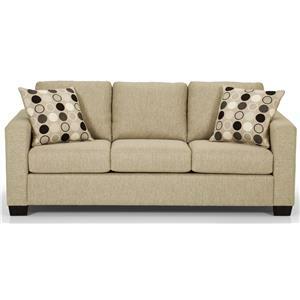 Offer a modern look to your living space with this contemporary three cushion sofa. 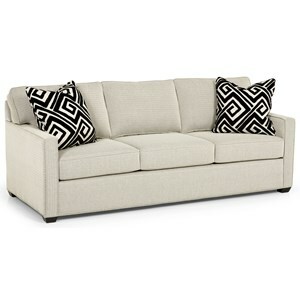 Track arms and block feet give this piece a clean and crisp design that is perfect for contemporary spaces. 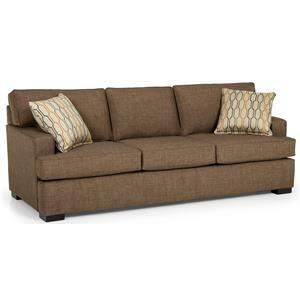 Three thick seat cushions and plump seat backs ensure that you will be able to relax comfortably at home. 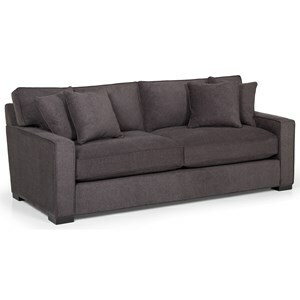 The 340 Contemporary Sofa with Track Arms by Sunset Home at Sadler's Home Furnishings in the Anchorage, Fairbanks, Sterling, Alaska area. Product availability may vary. Contact us for the most current availability on this product. Tailoring Self Healing Zippers: Provides years of easy access. Padding & Ergonomics Multi-layer Reflex Cushion: Luxurious comfort built to last a lifetime. Contoured Foam Arm: 1x6 lumber with 2x4 corner blocks provides structural support with maximum comfort. 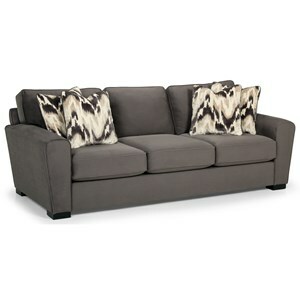 Enjoy contemporary style in your home with the addition of this upholstery collection. 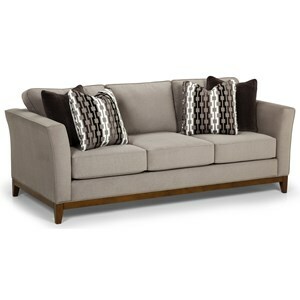 Each piece features a sleek and modern design with track arms and wooden block feet. 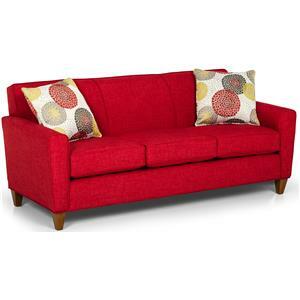 Seat cushions are multi-layered to provide plenty of comfort. A variety of seating options allows you to furnish any sized room and offers features to make your living room perfect for hosting guests. 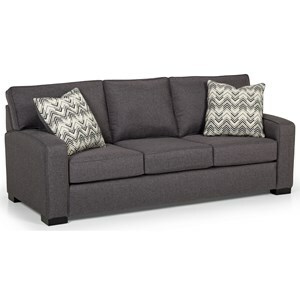 The 340 collection is a great option if you are looking for Contemporary furniture in the Anchorage, Fairbanks, Sterling, Alaska area.